What breakpoints should we use in responsive web design? As commonly as it's asked, this may be the wrong question. Join Ben as he tumbles down the rabbit hole beyond the breakpoint. Before you start reading, watch this one minute clip on YouTube. Child: Do not try and bend the spoon. That’s impossible. Instead only try to realize the truth. 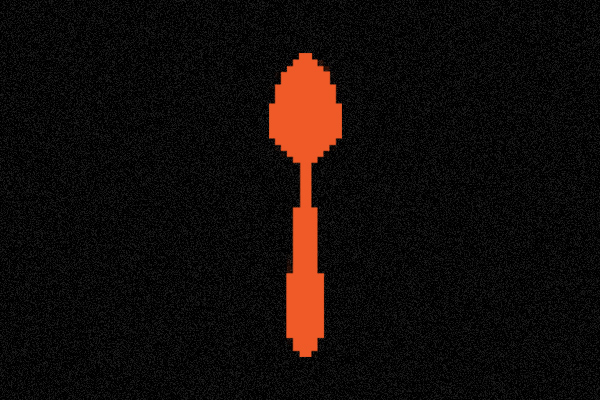 Child: Then you’ll see that it is not the spoon that bends, it is only yourself. Now I wonder if we’re trying too hard to bend the spoon instead of realizing the truth. There is no breakpoint. Given the tools we have at our disposal, particularly things like Breakpoint for SCSS and the data which shows almost imperceptible differences in performance for various media query structures, I think there’s a better way. When the nav component needs to change, we change it — independent of when the footer component needs to change. Obviously, this applies to any components in your site/system. And isn’t this how it should be? Building stronger component independence makes for more modular code. Modular code is more maintainable and more extendable. The breakpoint mixin will place the styles in the generated CSS twice — once scoped to the media query and once scoped to whatever selector string you pass with “$no-query” (“.no-mq” in my example above). This allows us to be selective about which styles we serve to user agents that don’t support media queries. In the above case, I’m assuming there is a class on the html element (think Modernizr) to help us know when the UA supports media queries. This example is showing how we might choose to serve a larger resolution layout to browsers that don’t support media queries. We’re just now starting to integrate this thinking into our work here at Sparkbox. 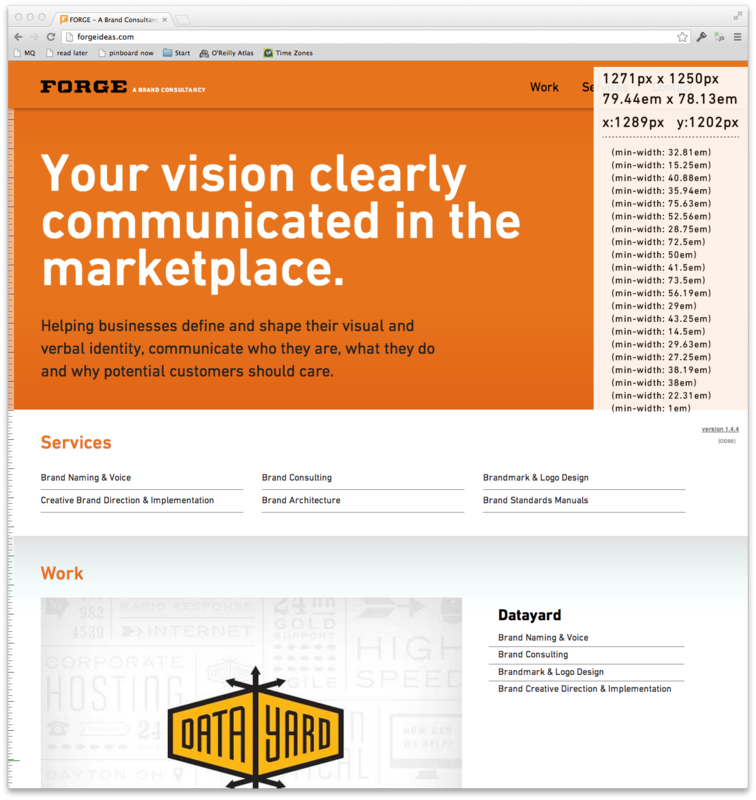 Recently, we redesigned forgeideas.com with these techniques. Below is a screenshot with Rob Tarr’s Media Query Bookmarklet running (in the transparent white box on the top-right corner of the browser window). You can see the various media queries that are currently firing. Notice that they are not consolidated in any way. This site was a fairly simple and quick build, but it gave us an opportunity to explore these techniques. We learned that this kind of approach frees us up to make more natural decisions in our responsive layouts. We like it quite a bit. As designers and developers, content authors and content strategists, it’s in our nature to try and control the web in a way it doesn’t want to be controlled. We’ve been doing this as long as we’ve been fixing widths. The past two years have been encouraging as our industry has taken steps — some large, some small — toward embracing the web's fluidity more fully. Like Neo, I can’t help but think it’s you and I that need to be more flexible, not the medium we build with.